Customer relations are a key component in today’s business world. We understand the importance of showing your clients how much you appreciate their business while we provide high standards of service and excellence in producing product and design. We tailor the arrangements to suit your office and fit the image your company is looking to project. Our staff of experts will provide you with advice and ideas that will reflect your image with style and creativity. Gorgeous floral arrangements make it easy to impress those important clients, 24-hour ordering via phone, fax or internet, and reminder services to ensure that you never forget to honor an important event in one of your client's lives. We also offer you your own commercial account representative for that added personal touch. 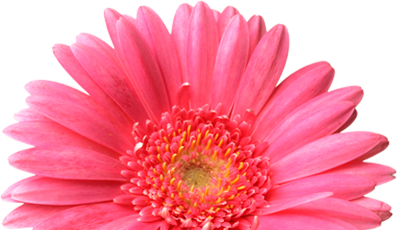 Jacobsen's Flowers will create, schedule and maintain any list you have, from birthdays to special events. We will help you plan and deliver meaningful gifts for all your special occasions. Our staff and team of designers can provide beautiful floral arrangements for any business event regardless of size. Let us be the string around your finger. At Jacobsen’s Flowers we understand that you have so much on your mind already so we have created our reminder service program to allow you to send flowers to anyone on set scheduled dates. We make payment easy by purchase with credit card or establishing a house account for your business so that the firm receives the invoice. Reception areas are the first place that most customers and employees see when they enter your office, so it is important to give the right message from the start. A welcoming reception area with tasteful and professional flower arrangements set the right image for your company. 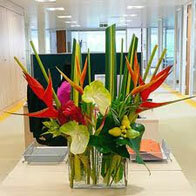 Fresh, weekly arrangements can be delivered to liven up the desks of employees. Bouquets for clients and staff give that personal touch in showing your appreciation. Beautifully creative floral designs are the perfect touch for those business meetings and company parties sure to set an impressive and sophisticated atmosphere. For over 91 years we have taken pride in offering an international variety of flowers, a vast array of custom service, a friendly and professional team and a certified, master and A.F.I.D award winning design staff. We look forward to accommodating all of your floral needs.